Which country you should visit if you want to eat healthy food? The international organization Oxfam has conducted a study on nutrition in 125 countries around the world. It turns out that we do not have to go very far, flying over seas and oceans, because the first 12 countries champions in healthy eating are European countries. Switzerland is in the top 3, as before it are only Netherlands and France. The study focused on factors such as sufficient amount of food, food quality, price of the food and whether people can afford to eat normally and to use good products, level of food-related diseases. It is not accidental that Swiss experience in food production is a model that has been studied and taken as an example in many countries, including Bulgaria. In the Alpine country people highly rely on sales of products directly from the farms. This is the way to ensure that quality guaranteed foods are delivered, which are also fresh. Good practice is also existence of weekend farm shops and farm markets, offering plenty of ecologically produced foods. 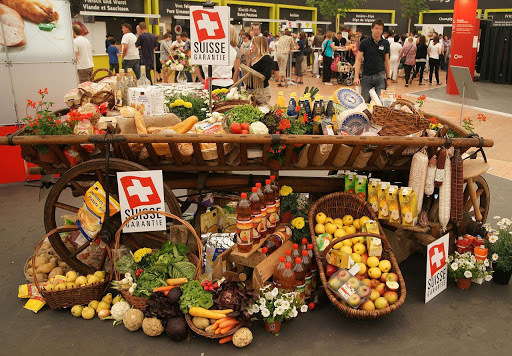 Which products make Swiss food healthy? The Swiss are particularly very concerned that their national cuisine is not only delicious, but also healthy, that is why they choose vey carefully the ingredients for each dish. Among the most basic products that are used by Swiss cooks are the vegetables – potatoes, cabbage, carrots, spinach, as well as legumes and rice. Milk and cheeses are widely used. Nowadays we can enjoy the authentic Swiss food in the mountainous areas and in small towns. It consists mainly of dishes made with cheese, milk, cream, eggs, lots of vegetables and fruits. Strange as it may seem for a country with developed stock-breeding, meat is not necessarily present at the Swiss table at home. On the other hand, when meat is included in the menu, their meat dishes are real delight for meat lovers. Bakeries are very well-developed, as very high quality flours are used for the bread preparation. We all know what is «Мuesli». There is no doubt that it is very healthy. But only few people know that it was invented by a Swiss – Dr. Maximillian Bircher-Benner in the distant 1900. In many countries, the mixture of oat flakes, other cereals, dried fruits and nuts is one of the most favorite things for breakfast. In fact, this variety with dried fruits is the modern version of the muesli and becomes very popular later on – in the 1960s. Initially, the gruel was prepared with fresh fruits for a patient of the doctor. 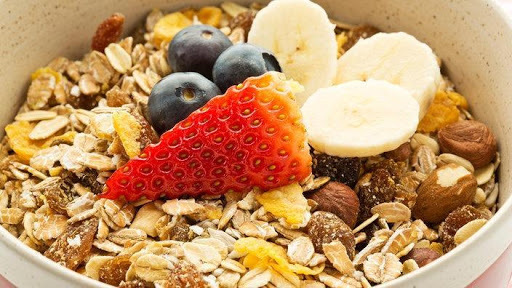 Muesli gives health and energy because of the high content of carbohydrates, proteins and vitamins of the B group. Oat flakes in turn deal with high cholesterol and fiber are very good for the gastrointestinal tract. We can add some milk and honey, as they are also very good and beneficial for the organism. In fact, Swiss often eat muesli not only for breakfast, but also for lunch. You have probably heard this maxim, but the Swiss have found its best application in the culinary industry. In their menu, they rely primarily on simple foods with few, but quality ingredients, maing them suitable for all ages and tastes. There is no simpler culinary decision than Rösti –grated potatoes, seasoned with a little salt and pepper, fried in butter. But the fame of these potato schnitzels goes far beyond the borders of Switzerland. If you like to make the dish in a healthier version, you can bake it in the furnace. And, in order not to be too boring, you can improve the dish by adding bacon, leeks, and of course, cheese – we are in Switzerland! Simple, great and…universal. 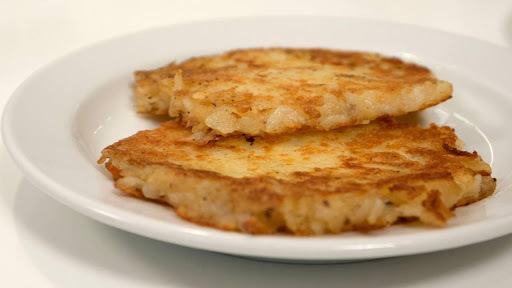 Because Rösti can be served for breakfast, as the farmers from Bern have done, and also as main dish and as garnish to meat dish. And without of the risk you stomach to feel «sick». The Swiss cannot set the table without milk and cheese. Cheese, milk and cream are present alone and in the composition of many dishes. And there are not enough words for Swiss cows and their milk – they are the trademark of the Alpine country. And not by accident. The products have guarantee of quality, and this, along with the beneficial substances in them, makes them very healthy. Calcium contained in milk strengthens the bones, hair, as well as the teeth of each of us. Lactic acid products are very good for the gastrointestinal tract and they can be prepared at home. An important fact regarding the quality of food is that there is a state organization dealing with certification and quality control of the products. 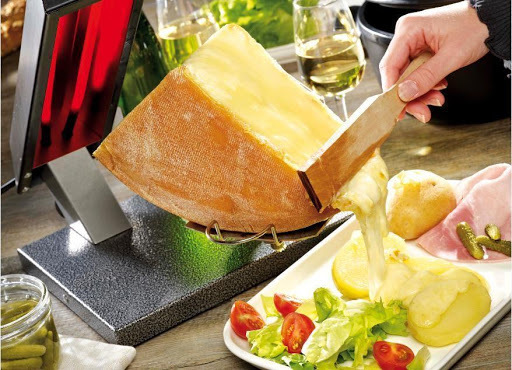 Many products have the Swiss sign of quality and the popular Raclette is one of them. In fact, with the name Raclette are called both the type of hard cheese and the dish made from the cheese. Raclette’s origin dates back to the distand past, somewhere in the times of the Roman Empire. It is best to add this aromatic cheese to various dishes warmed and melted, because if served cold it may be too smelly for the more sensitive noses. Bread diet – what is it? Certainly the Swiss know the answer. 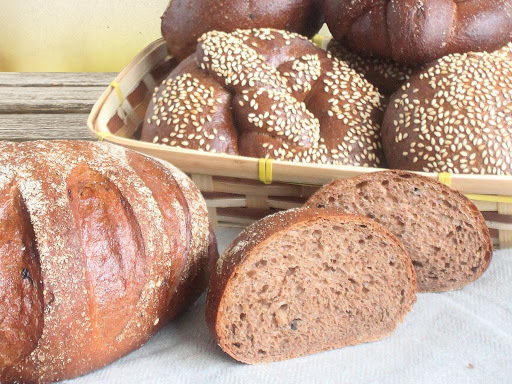 Unlike most fans of diets who think that bread is forbidden, the residents of the Alpine country appreciate bread a lot and there is a special place for this food product in their diets. It is called – the Swiss bread diet. It is based on bread products of whole grain breads and breads made from multiple grains. This bread type is characterized by high content of trace elements and nutritional fiber. Breads made of white flour are not forbidden but these products are not recommended. Starange as it may seem, this diet aims to reduce the calorie intake. The permissible daily rate is up to 1400 calories. But do not think that the Swiss diet ends only with bread and water. The bread sliced can be smeared and garnished, but you should be careful with regards to the products used for that. You can use low-fat curd, other lactic acid products, lean meat, fruits and vegetables. The recommended drinks include tea without sugar and water, which is absolutely obligatory. The advantage of the Swiss diet regime is that it is balanced and does not lead to a lack of important beneficial substances. You can eat this way for a long time without health problems. The use of low – fat products and quality bread, rich in minerals, strengthens the immunity and greatly affects digestion. Moreover, this Swiss diet is easy to apply and does not cost much. We can apply it in practice in any situation – at work, at home, during the holiday.